What was once called the Church of the Anglican Diocese of Auckland is today known as St Mary’s Cathedral Church. The church was established in 1897 and was a fruit of hard work of then prominent architect Benjamin Mount ford. The location of the church is very well known locality of Parnell. Beautifully built, the architecture of the church has attracted a lot of visitors, especially those with an ardent interest in history. Check out the beautiful building with its archaic interiors and spend some time seeking the spiritual quietude. Church is open daily. Contact the authorities for more info. Beautiful inside . Shame about parking charges. Historic church with fabulous woodwork. Staff onsite to answer questions. 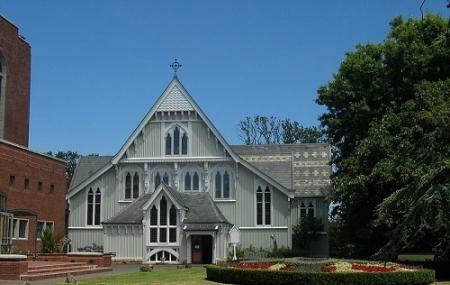 St Marys is one of the largest wooden churches in the Auckland region and for many years served as the Cathedral for the Anglican Diocese. It's simple design out of native timber is beautiful. It sits alongside the new cathedral in Parnell Road. The organ was recently completely renovated and sounds wonderful. St Marys is very popular for weddings and funerals.